​ReliabilityFirst Regional Criteria are Board-approved good utility practice documents that are not Reliability Standards, and therefore are not enforceable and do not require NERC approval. Regional Criteria may include specific acceptable operating or planning parameters, guides, agreements, protocols or other documents to enhance the reliability of the regional Bulk Electric System. To date, all Regional Criteria consist of converted ReliabilityFirst Board approved Standards with the compliance elements and enforceable language removed. 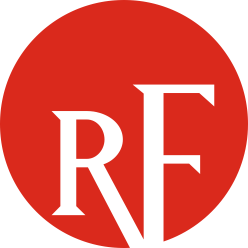 ReliabilityFirst has received inquiries regarding auditing and the potential enforcement of Regional Criteria and fill-in-the-blank Reliability Standards that reference Regional Criteria. ReliabilityFirst will not audit or enforce Regional Criteria separately or in connection with a fill-in-the-blank Reliability Standard. For any questions regarding ReliabilityFirst's Regional Criteria, please visit our Contact Us page and direct your question to the Standards group.